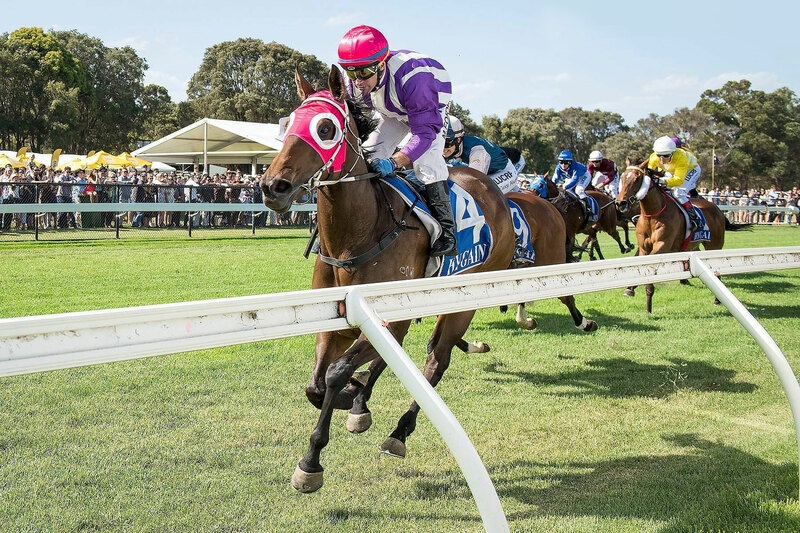 Albany is situated on the southern coast of Western Australia and thoroughbred horse racing has a strong following going back over 150 years. Located at the Percy Spencer Racecourse on Roberts Road, with views of the Albany Wind Farm and Mt Melville in the distance and surrounded by natural bush, the Albany Racing Club is the best place to be trackside to enjoy the fashion and friendly atmosphere, place a bet or simply socialise. The race club hosts 14 race meeting per year from November through to may and includes the iconic Wellington & Reeves $100,000 Albany Cup on Easter Sunday. Other major race meetings include the XXXX Boxing Day meet and TABTouch Ladies Day featuring the $100,000 Fitzpatrick Plate. Christine Newbold, Rebecca Wallrodt, Alison Rae, Karen Ness, Grant Gibbs, Roy Rogers, Annette Crump, Jonathon Jachmann. Renee Gardiner, Lesley Solly, Ken Dawson, David Hicks, Neville McGill, Roy Perry.